Are You Getting All our Emails? FRIDAY NIGHT SKILLS CLINICS EVERY FRIDAY! 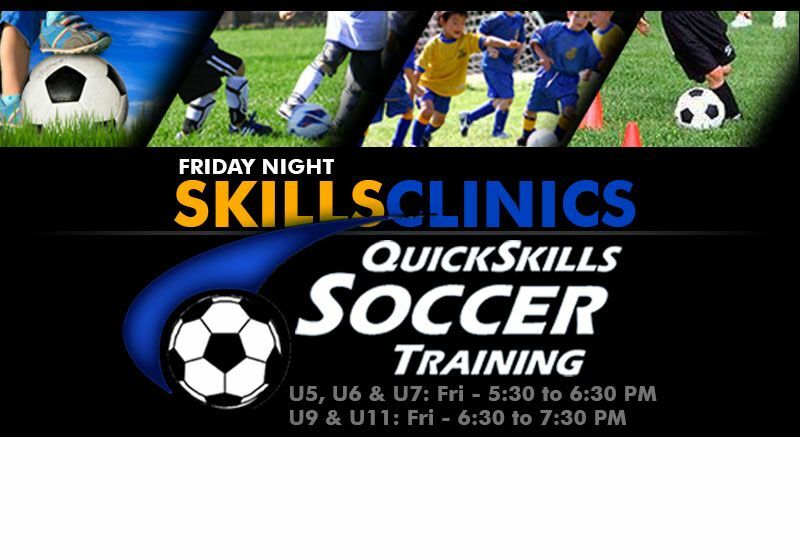 FRIDAY NIGHT SKILLS CLINICS - FEATURING QUICKSKILLS SOCCER TRAINING! Every Friday night, there will be even more opportunity for fun, learning, and development with our new Friday Night Skills Clinics led by one of the premier youth soccer training organizations in our area - QUICKSKILLS SOCCER TRAINING! Each Friday night - rain our shine - your players will be able to come on out for an hour of targeted training for better ball control, better shots on goal, better defending, and improving their understanding of the game to become smarter soccer players everywhere on the field. Good ball control and an understanding of how and when to use it is the foundation of soccer. The ability to dribble, change speed and direction, to use the right parts of their feet to move the ball how, when, and where they want - a player that is mastering these fundamental skills can do anything. Help your player take their ball control to the next level! AGES: Players playing in our U9 and U11 leagues - generally born in 2011, 2010, 2009, and 2008. LOCATION: Friday Night Skills Clinics will be held RAIN OR SHINE! Weather permitting, we will be outside on the grass. In case of rain, in the Centennial School Gym. 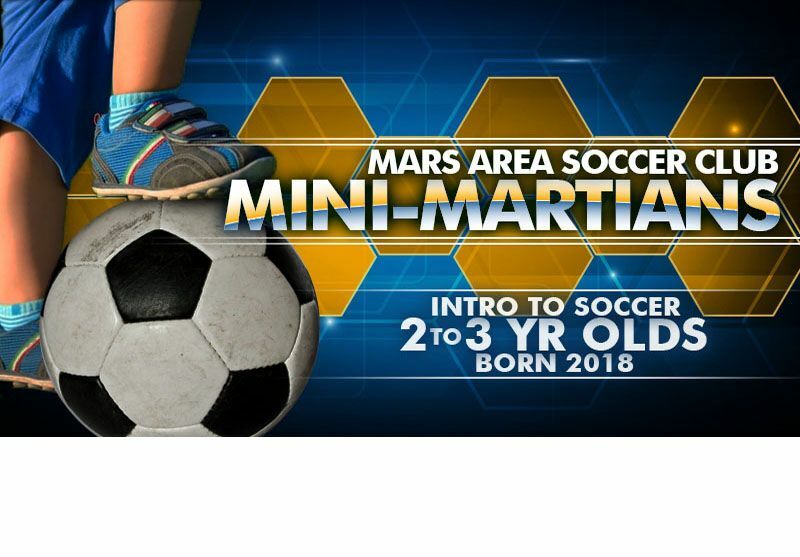 Please watch our Facebook page - https://www.facebook.com/marssoccer/ - for location announcements. OUTDOOR LOCATION: The Mars Area Soccer Club fields at RT 228 and Three Degree Road. INDOOR LOCATION: Mars Centennial School Gym, 100 Winfield Manor Drive, Mars, PA, 16046. NOTE: When Indoor, please bring a pair of gym shoes. Cleats may not be worn inside. 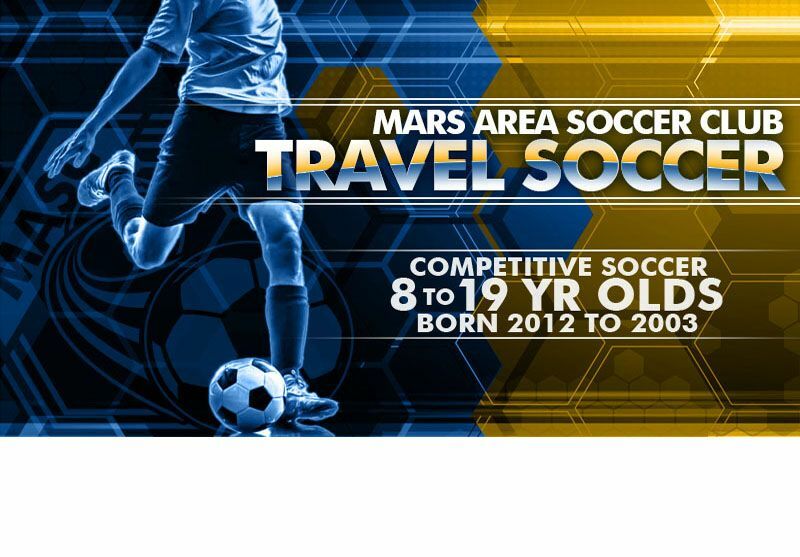 COST: Friday Night Skills Clinics are FREE to all current Mars Area Soccer Club players. Be sure to bring your soccer ball, and water bottle. Have your shinguard and cleats on. And be ready to work hard and have a blast doling it! ARE YOU GETTING ALL OUR EMAIL? DON'T MISS A SHOT! LET YOUR EMAIL KNOW WE'RE ON THE SAME TEAM! Staying in touch with each other is really important to us! Whether it's our periodic newsletters, practice and game schedule updates, weather alerts, skills clinic announcements, registration updates, or anything else, we want to make sure that you're up to date and that you know what's going on. 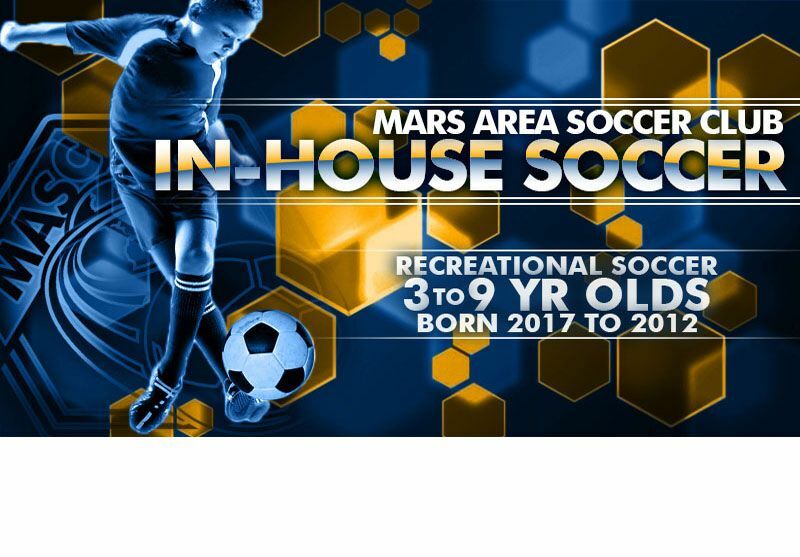 Our website (http://www.marssoccer.org) and our Facebook page (https://www.facebook.com/marssoccer/) are both important ways we can make general announcements. But email remains our primary means of communicating with everyone. When we need to be in touch with you directly, or when we need to make sure everyone sees something really important, there's just no substitute for a good ole' email. And we use email a lot! So, if you haven't heard from us in a while, it might mean something's not working right, and that our email isn't getting through. You might be missing important email from us because, instead of showing up in your "Inbox", they're being sent to your "Spam" or "Junk Mail" folders. This is especially common for Gmail, Yahoo, Hotmail and Outlook.com addresses. Fortunately, this problem is pretty easy to fix. 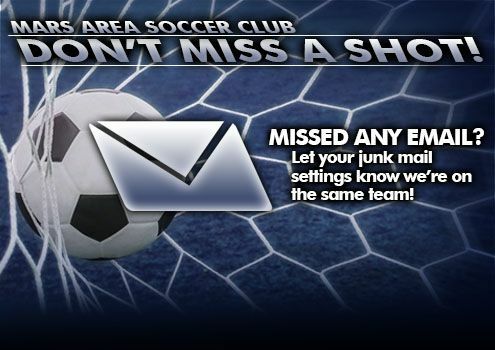 Usually with just a couple of clicks you can make sure that everything from the Mars Area Soccer Club goes where it's supposed to go - to your inbox! So, here's how you can you let your email know we're on the same team! SETTING UP A "WHITE LIST" Setting up a "White List" will ensure that you see everything from the Mars Area Soccer Club,... and anyone else you want, too. Exactly how you go about this depends on what type of email you're using. To make it easy, we've gathered instructions for most of the email providers out there. Just click your email provider below for instructions on how to "white list" email from the club. Repeat Steps 3 through 7 for email sent from leagueapps.com which hosts our registration system. That's it! You're all set! Enter a Filter Name such as "marssoccer.org"
Repeat Steps 4 through 8 for email sent from leagueapps.com which hosts our registration system. Repeat Step 4 for email sent from leagueapps.com which hosts our registration system.